New content every week from the most highly cited internal medicine journal. Unique content and features found nowhere else. Electronic delivery of journal content, exactly how you want it. Individual and institutional subscriptions available. Our mission is to promote excellence in medicine, enable physicians and other health care professionals to be well-informed members of the medical community and society, advance standards in the conduct and reporting of medical research, and contribute to improving the health of people worldwide. The most recent (2017) Impact Factor for Annals of Internal Medicine is 19.384 (Clarivate Analytics). With 53,689 total cites in 2017, Annals is the most cited general internal medicine journal and one of the most influential journals in the world. The Impact Factor is a measurement of the frequency with which the “average article” has been cited. Annals publishes a wide variety of original research, review articles, clinical practice guidelines, and commentaries relevant to clinical practice. In addition, the journal publishes personal narratives that convey the feeling and the art of medicine. Special services include e-mail alerts for new content and hot topics, podcasts, teaching tools, specialty and topic collections, most -read lists, and tools for citation and sharing. Each week Annals delivers new content that informs the practice of medicine—including new research, reviews of available evidence to answer internists’ questions, practical articles on the management of patients with common clinical conditions, commentary about topical and controversial issues, and summaries of the best new evidence for internal medicine from other clinical journals. 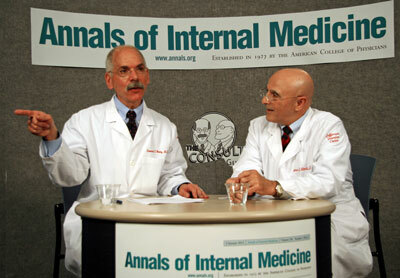 Internists tell us what they love about Annals. Grand Rounds discussions including video, slides, CME/MOC that address vexing clinical issues using a real patient's case. 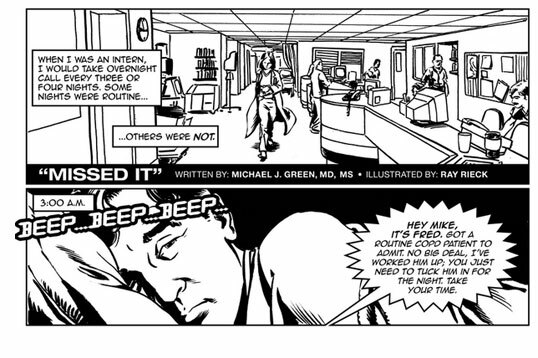 Original graphic narratives on medically relevant topics. Medical consultation “talk show” featuring Drs. Geno Merli and Howard Weitz. Doctors share brief stories with an audience in video form, building on the popular Annals feature "On Being a Doctor." Annals of Internal Medicine is also available as a benefit of ACP membership. Contact ACP Member and Product Support at 800-523-1546, extension 2600 or 215-351-2600 (M - F, 9 a.m.- 5 p.m. ET) or online with any questions. Annals of Internal Medicine includes ACP Journal Club and In the Clinic. 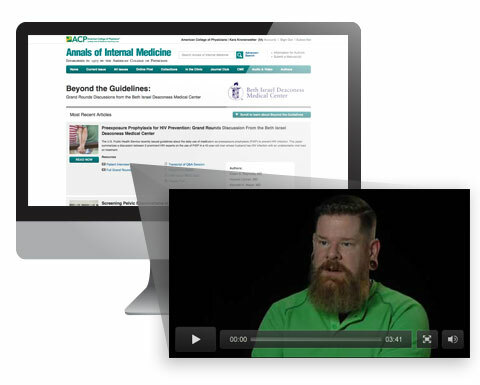 Beyond the Guidelines is a multimedia feature based on selected clinical conferences at Beth Israel Deaconess Medical Center (BIDMC). Each educational feature focuses on the care of a patient who "falls between the cracks" in available evidence and for whom the optimal clinical management is unclear. Such situations include those in which a guideline finds evidence insufficient to make a recommendation, a patient does not fit criteria mapped out in recommendations, or different organizations provide conflicting recommendations. Clinical experts provide opinions and comment on how they would approach the patient's care. Participants verbally share brief stories with an audience who votes on their favorite story. Story Slams are events that celebrate storytelling by providing an opportunity for participants to verbally share brief stories with an audience. Building on the popular Annals' feature "On Being a Doctor," Annals hosted an "On Being a Doctor" Story Slam on November 18, 2015. This Annals' "On Being a Doctor" Story Slam was made possible with generous support from the Josiah Macy Jr. Foundation. The Consult Guys bring a new perspective to the art and science of medicine with lively discussion and analysis of real world cases and situations. The Consult Guys videos, starring Geno J. Merli, MD, FACP, FHM, FSVM, and Howard H. Weitz, MD, FACP, FACC, are available to everyone, and ACP Members and Annals subscribers can earn CME for each video. Annals Graphic Medicine brings together original graphic narratives, comics, animation/feature, and other creative forms by those who provide or receive health care. They address medically relevant topics—be they poignant, thought-provoking, or just plain entertaining.